MZA Planning are pleased to add another successful case in Hounslow to their record. 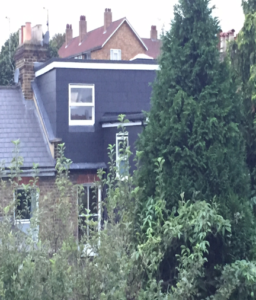 Our client in Chiswick applied for a rear roof extension to form an outrigger and Juliette balcony. MZA Planning oversaw the case from A to Z; we helped the client by arranging for our architect to produce drawings for the project and by producing a detailed design and access statement in support of the application. Following liaison with the case officer, revised drawings were submitted to reflect a slight reduction in the depth of the proposed roof extension. The application was therefore approved which made us and our client very happy! Contact us on 020 8995 7848 for help with applying for planning permission.